Stanford students rejected the proposal 1,992 to 347. A columnist at the Stanford Daily explained why: Teaching Western civilization means "upholding white supremacy, capitalism and colonialism, and all other oppressive systems that flow from Western civilizations." The vote — and the column — encapsulated the left's view: In Europe, Latin America and America, it loathes Western civilization. I am referring to the left, not to liberals. The latter generally venerates Western civilization. President Franklin D. Roosevelt, for example, frequently spoke of defending "Christian civilization." Today, the left would likely revile any Westerner who used such language as xenophobic, racist, and fascist. The left similarly describes any suggestion that anything Western is superior to anything non-Western. Likewise, it dismisses virtually all Western achievements, but regards criticism of anything non-Western as racist, chauvinistic, imperialist, colonialist, xenophobic, etc. That is why the left is so protective of Islam. America's left-wing president, Barack Obama, will not use, and does not seem to allow the government to use, the words "Islamic terrorism." And, criticism of Islam is labeled "Islamophobic," thereby morally equating any such criticism with racism. It is not that the left is sympathetic to Islam, for it has contempt for all religions. It is that many Muslims loathe the West, and the enemies of my enemy (the West) must be protected. That is why the left loathes Israel. If the left actually cared about human rights, women's rights, gay rights, or freedom of speech, religion and press, it would be wildly pro-Israel. But Israel, in the left's view, is white, European and colonialist, or in other words, Western. And the Palestinians are non-Western. So, the Big Question is, why? Why is the left hostile toward Western civilization? After decades of considering this question, I have concluded the answer is this: standards. The left hates standards — moral standards, artistic standards, cultural standards. The West is built on all three, and it has excelled in all three. Why does the left hate standards? It hates standards because when there are standards, there is judgment. And leftists don't want to be judged. Thus, Michelangelo is no better than any contemporary artist, and Rembrandt is no greater than any non-Western artist. So, too, street graffiti — which is essentially the defacing of public and private property, and thus serves to undermine civilization — is "art." Melody-free, harmony-free, atonal sounds are just as good as Beethoven's music. And Western classical music is no better than the music of any non-Western civilization. Guatemalan poets are every bit as worthy of study as Shakespeare. When the Nobel Prize-winning American novelist Saul Bellow asked an interviewer, "Who is the Tolstoy of the Zulus? The Proust of the Papuans?" all hell broke loose on the cultural left. Bellow had implied that the greatest writers of fiction were Western. In the moral realm, the same rejection of standards exists. Thus, the left loathed President Ronald Reagan for labeling the Soviet Union an "evil empire," because that would mean America was morally superior to the Soviet Union. And such a judgment was unacceptable. The whole left-wing moral vocabulary is a rejection of Western moral standards: "tolerance," "inclusion," "anti-discrimination" (by definition, standards discriminate), "non-judgmental," and even "income inequality," which deems some peoples' work more valuable than others. Every civilization had slavery. But only thanks to Judeo-Christian civilization was slavery abolished there, and eventually elsewhere. Nevertheless, to speak about any moral superiority of Western or Judeo-Christian civilization is completely unacceptable, thanks to the left's stranglehold on education and most media. In this regard, the protection of Islam by the left is so thorough that one cannot even say such obvious truths such as that the status of women has been far superior in the Judeo-Christian West than in the Islamic world. The veil women wear, for example, is dehumanizing. Yet, in a speech at the annual convention of the Islamic Society of North America, a rabbi who, at the time, was the president of the Union for Reform Judaism, said that a woman's voluntary choice to wear a head scarf "deserves our respect." And finally, we come to the left's loathing of the religions of Western civilization — the Judeo-Christian religions, which have clear standards of right and wrong. Bible-based religions affirm a morally judging God. For the left, that is anathema. For the left, the only judging allowed is leftists' judging of others. No one judges the left — neither man nor God. Dennis Prager's latest book, "The Ten Commandments: Still the Best Moral Code," was published by Regnery. 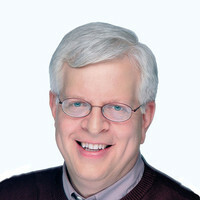 He is a nationally syndicated radio show host and creator of PragerUniversity.com.